I don't understand this part underlined with red.Can someone explain it to me? The function $g : B \to g[B]$ is injective (because $g : B \to A$ is) and surjective from the definition of $g[B]$. Every bijective function has an inverse. Not the answer you're looking for? Browse other questions tagged elementary-set-theory or ask your own question. 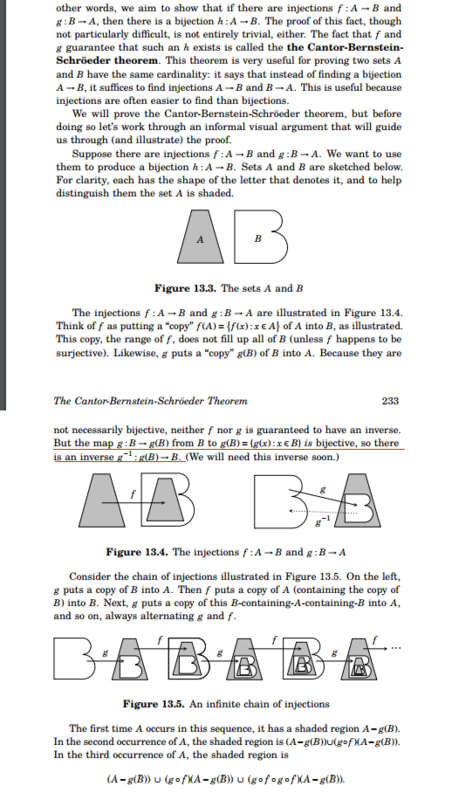 Use of Cantor Schroder-Bernstein theorem?